list of the zone parameters that affect when records are scavenged. You configure these properties on the zone. No-refresh interval Time during which the server does not accept refreshes for the record. (The server still accepts updates.) This value is the interval between the last time a record was refreshed and the earliest moment it can be refreshed again. DNS console and Dnscmd.exe When an Active Directory–integrated zone is created, this parameter is set to the DNS server parameter Default no-refresh interval . This parameter replicates through Active Directory replication. Refresh interval The refresh interval comes after the no-refresh interval. At the beginning of the refresh interval, the server begins accepting refreshes. After the refresh interval expires, the DNS server can scavenge records that have not been refreshed during or after the refresh interval. DNS console and Dnscmd.exe When an Active Directory–integrated zone is created, this parameter is set to the DNS server parameter Default refresh interval . This parameter is replicated by Active Directory. Enable Scavenging This flag indicates whether aging and scavenging is enabled for the records in the zone. DNS console and Dnscmd.exe When an Active Directory–integrated zone is created, this parameter is set to the DNS server parameter Default enable scavenging . This parameter is replicated by Active Directory. ScavengingServers This parameter determines which servers can scavenge records in this zone. Only Dnscmd.exe This parameter is replicated by Active Directory. Start scavenging This parameter determines when a server can start scavenging of this zone. Not configurable This parameter is not replicated by Active Directory. list of the server parameters that affect when records are scavenged. You set these parameters on the server. Default no-refresh interval This value specifies the no-refresh interval that is used by default for the Active Directory–integrated zone. DNS console (shown as No-refresh interval ) and Dnscmd.exe By default, this is 7 days. Default refresh interval This value specifies the refresh interval that is used by default for the Active Directory–integrated zone. DNS console (shown as Refresh interval ) and Dnscmd.exe By default, this is 7 days. Default Enable Scavenging This value specifies the Enable Scavenging parameter that is used by default for the Active Directory–integrated zone. DNS console (shown as Enable scavenging )and Dnscmd.exe By default, scavenging is disabled. Enable scavenging This flag specifies whether the DNS server can perform scavenging of stale records. If scavenging is enabled on a server, it automatically repeats scavenging as often as specified in the Scavenging Period parameter. DNS console, Advanced View (shown as Enable automatic scavenging of stale records ) and Dnscmd.exe By default, scavenging is disabled. Scavenging Period This period specifies how often a DNS server enabled for scavenging can remove stale records. DNS console, Advanced View (shown as Scavenging Period ) and Dnscmd.exe By default, this is 7 days. Hello All, hope you guys are doing great. Today, I wanted to write about the Change notification in site link. Change Notification is the interval between an originating update on a domain controller and notification of this change to its partners. 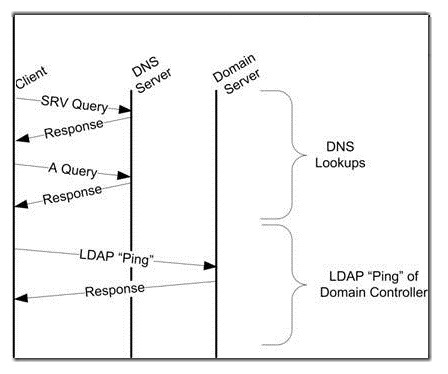 When this interval elapses, the domain controller initiates a notification to each intra-site replication partner that it has changes that need to be propagated. Another configurable parameter determines the number of seconds to pause between notifications to other partners if any. This parameter prevents simultaneous replies by the replication partners. These DWORD values control how long to wait before sending the Change Notification after a modify operation on a Domain Controller to its first partner and then all subsequent partners in the same site. But what about my Domain Controllers in other sites?. We know that replication honors Replication Intervals set on the Site Link between two sites and the minimum interval that can be set via the AD Sites and Services snap in is 15 minutes. What if your environment can afford to enable these change notifications between your sites or specific sites because you have a large amount of bandwidth. For this you can enable Change Notifications between sites as well. Expand Sites, navigate to the Inter-Site Transports container, and select CN=IP. Note: You cannot enable change notification for SMTP links. Right-click the site link object for the sites where you want to enable change notification, e.g CN=DEFAULTSITELINK, click Properties. In the Attribute Editor tab, double click on options.b. If the Value(s) box contains a value, you must derive the new value by using a Boolean BITWISE-OR calculation on the old value, as follows: old_value BITWISE-OR 1. For example, if the value in the Value(s) box is 2, calculate 0010 OR 0001 to equal 0011. Type the integer value of the result in the Edit Attribute box; for this example, the value is 3. What about disadvantage? Is there one? Well sure, it’s a possible and potential replication storm as all the domain controllers are part of the Change Notification intervals. With Change Notification enabled between sites, changes propagate to the remote site with the same frequency that they are propagated within a site. The advantage of enabling Change Notification between sites is little to no conflicts. As a matter of fact, I have yet to see a Conflict object (will discuss some other time) between DCs in different sites if Change Notification is enabled between those sites. Plus if there are a lot of changes being made, these changes will not be queued up as they will be replicated with the same frequency as the domain controllers in the DC’s own site. Now, that I just explained what AD is at its lowest level, a Jet database, why in the world would Microsoft choose Jet over say, a SQL database? SQL is so very well known, easy to access and manipulate; it almost sounds like a match made in heaven. Jet was chosen because it’s a ridiculously simple and fast database. If Active Directory was going to be the center of many enterprises, it had to be fast and Jet delivers on that promise in spades. I like to describe the Directory System Agent (DSA) as the man behind the curtain, the bouncer, and the translator. It’s the component that talks to the database but also enables LDAP. Sorry to break it to you, but at the database level, distinguished names like ‘CN=users,DC=Contoso,DC=local’ don’t exist. It’s the DSA that creates this LDAP path based on the data in the underlying Jet database; this will make more sense in the next section. It also enforces data integrity, which data types are allowed for certain attributes. It really is the magic that creates this awesome LDAP database we call Active Directory. Jet makes it fast, the DSA makes it LDAP. Now, within the ntds.dit file, there are actually many tables of data. The tables that are of most interest to us are the data table, which contains all the users, groups, OU’s. The link table, which contains any linked attributes for example, the members of a group. And lastly the SD table, which contains security descriptors or permissions that are assigned throughout Active Directory. Let’s first take a look at data table. One easy way to do this without some fancy third party tools is to run LDP.exe and leverage an operational attribute called ‘DumpDatabase’. Do note that this forest is called contoso.local with a child domain named child.contoso.local. Start Ldp.exe on the domain controller. Connect locally, and then bind as an Domain Admin. Disclaimer: I excluded some columns from this picture that wouldn’t fit nor was relevant to this blog. DNT: Distinguished Name Tag. Essentially is a primary key to identify each row within the database. PDNT: Parent Distinguished Name Tag. Indicates which object in the database is the parent object of this object. References another objects DNT. NCDNT: Naming Context Distinguished Name Tag. Indicates which “partition” this object belongs to. References the root of a partition’s DNT. partitions and which objects belong to which partitions? This is where the DNT, PDNT, NCDNT values you see above come into play. The PDNT value tells each object what their parent object is plus the NCDNT value tells the object which partition it belongs to. In the above diagram, you’ll notice that the DNT is just like a unique identifier where each row as a different value. The PDNT on each object tells us which object within the data table is its parent object. Additionally, you’ll notice the NCDNT on the Dave user account tells us that he belongs in the contoso.local domain partition. You’ll notice that the users container also has a NCDNT of 1788. This just indicates that the users container also belongs to the contoso.local domain partition. NCDNT tells us which partition each object belongs to. The DSA then uses this information to map out the hierarchy of all objects and their partitions and delivers them in LDAP syntax. When I realized that almost all data and partitions in Active Directory are in this one data table and just organized by these hierarchal numbers, it forever changed my understanding of Active Directory. You’ll fully understand what I mean in a little bit. The diagram above is a dump from a forest-root GC. Once again, you’ll notice the PDNT references the parent object. The NCDNT references what partition this object belongs to. And the PDNT on the child object, which is the root of the child domain, points to the DNT of contoso.local. We know this is a GC because these objects here at the bottom are from the child domain, which only a GC would have. Key Takeaway: Active Directory does not have different tables to store the different partitions including the GC partition. Everything is stored in the one data table which is logically and hierarchy organized. Now that I knew and understood Active Directory in this way, my mind started to open up and understand things that I couldn’t fully comprehend before. So when you go to the properties of the administrators group to see who is a member, the database would take the administrators DNT of 3566, search the link table for all matching link_DNT values, and then return backlink_DNT values, which would correspond to a user or group within the DB that are members of that group. In the reverse, when I go to the properties of the Dave account to see what groups he belong to, the database takes my DNT of 3830 and searches the link table for all matching backlink_DNT values, and then returns the link_DNT values, which would correspond to groups within the DB that I belong to. Key Takeaway: Anything that is linked, like member and memberof attributes, must reference a physical object in the database. This is for purposes of referential integrity and it must have a corresponding DNT value, which means it will have its own row in the database. Contrast this with any generic multi-valued attribute within AD. If it isn’t linked, you can go ahead and add any value you want to it. With that being said, let’s say that I log onto the child domain (child.contoso.local) and want to make the user account Dave, from the forest root, an administrator in the child domain. Now remember that this child DC is NOT a GC so he wouldn’t have a copy of the Dave user account in his data table. Also, remember that when you add someone to a group, they MUST physically exist in the local data table in Active Directory. Does that mean that I have to make this child DC a GC so Dave would exist in the data table so we could then then add him to the administrators group? Since this child DC isn’t a GC and didn’t have a copy of forest-root Dave account but had to still add Dave to the administrators group, it has to create a representation of Dave in its local database because the rules of linking state that the object must exist in the local data table and have a valid DNT. Key Takeaway: Remember that GC’s don’t have nor need phantom objects because they have a row in their data table for every object in the forest so phantoms objects aren’t necessary. Non-GC’s only have the objects from their local domain so they have to create phantom objects to represent accounts from other domains. Every domain controller is personally responsible for maintaining their own data table and how that data is internally linked. Internally, the DB on each DC may not be identical but the outcome will be the same. On each DC, to add a user to a group, that user must physically be present in the local data table either as a user account or a phantom object. 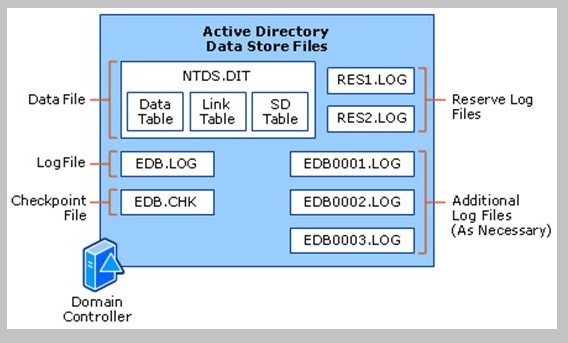 A Global Catalog Server has a partial copy of every object in the forest in its data table. Objects from other domains don’t have all their attributes populated but nonetheless are present. Because of this, it doesn’t need phantom objects because it has the real objects locally. A Domain Controller that isn’t a GC doesn’t have a copy of every object in the forest in its data table. It only contains objects from its own domain. Because of this, it has to create phantom objects to reference the real objects from other domains. The infrastructure master is responsible for updating or deleting phantom objects if/when they change. For example, does the actual Dave account in the forest root still exist? Has he been moved or renamed? This process runs every 2 days and asks this question and then either updates or deletes the phantom objects accordingly. Disclaimer: AD replication occurs at a much higher level than this and does not occur based on DNT values. I am just doing it this way to put it into the context of this blog. Plus, DNT’s are local to each DC. 1.) The Dave account in the forest-root domain contoso.local gets deleted. 2.) The DC in contoso.local replicates that deletion to the child domain GC by telling it to delete DNT 3830. 3.) The non-GC’s in the child domain don’t have the Dave account with a DNT of 3830. Instead, they have a phantom object that represents Dave with a DNT of 5585. Consequently, the Dave phantom object does not get deleted. 4.) This is where the Infrastructure Master comes in. There is one IM per domain. The IM process in this child domain runs every two days and says, “Let me review my phantom objects to make sure that the actual user accounts still exist”. Under normal conditions, it would determine that the actual Dave account got deleted and would then delete the Dave phantom object from itself and then replicate that to other DC’s in the child domain that aren’t GC’s. The problem here is though, the Infrastructure Master is running on a GC and we all know by now that GC’s doesn’t have any phantom objects. Consequently, the IM determines, “since I don’t have any phantom objects, there’s really nothing for me to do”. Therefore, the phantom object for the Dave account remains on all non-GC’s in the child domain. If you were to look at the administrators group on any of these non-GC’s in the child domain, Dave would still show as present even though the actual user account was deleted from the forest-root and replicated to all global catalog servers in the child. Technically, the best practice should have been “Only put the Infrastructure Master on DC’s that have phantom objects” but this would have caused more confusion so Microsoft simplified it and just made it “Don’t put the Infrastructure Master on a GC”. Allow a DC to add a user to a group even though the user account doesn’t exist in the local data table. This would break the database and referential integrity. Definitely not a good option. Don’t allow our customers to add users from one domain into groups from another domain. Once again, not a good option. Recommend that all domain controllers be global catalog servers, which negates the entire phantom object scenario. Wait a minute, we already recommend that! Create Phantom Objects on non-GC’s in other domains and then allow the Infrastructure Master to keep those phantom objects update to date, which is exactly what we’re doing today. User object has been displayed as unknown object. In the Access control list. You can see deny permission for self and everyone. Now the issue will be fixed.